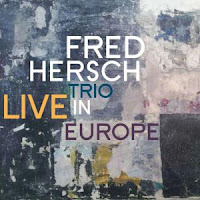 If I count correctly, "Fred Hersch Trio: Live in Europe" (Palmetto records) is the 12th trio album has released since 1984. The pianist seems to have transcended the genre with his only equal, the now-defunct trio of Keith Jarrett, Jack DeJohnette, and Gary Peacock. 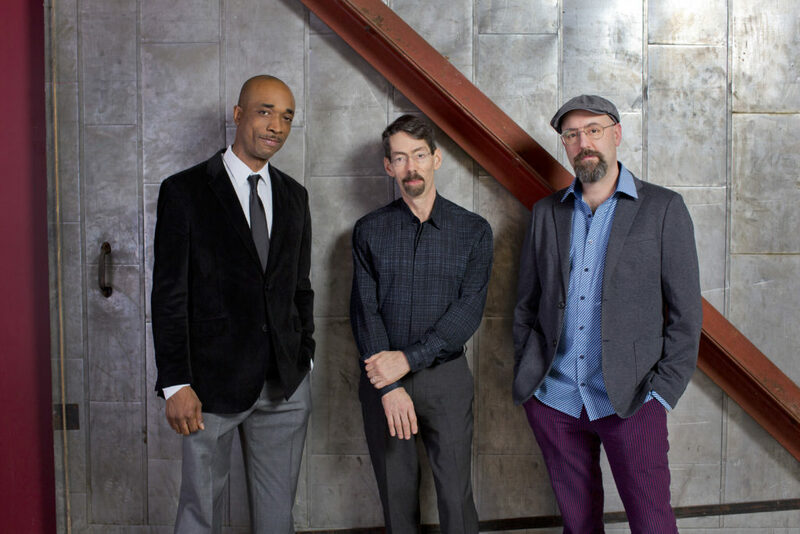 In some ways, the Hersch Trio - bassist John Hébert and drummer Eric McPherson has been the rhythm section since 2009 - has, arguably, passed the Jarrett Trio for its inventive and playful approach. 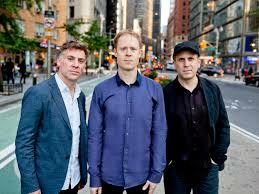 The new album, recorded on the penultimate date of the Hersch Trio's second 2017 European tour, came about through serendipity. Recorded in a 1930's-built hall in Brussels, Belgium, the pianist did not know the group was being captured on tape until after the concert. Upon learning of the recording's existence and listening back to the show, Hersch knew this music had to be released. The word "playful" is a perfect description of the first four tracks. The album opens with a sprightly reading of Thelonious Monk's "We See", a performance that owes as much to the Marx Brothers as any other group. The interaction of the three musicians is joy personified. Even when Hébert and McPherson fall into a swiftly swinging tempo, Hersch goes in many different directions. Next is "Snape Maltings" which is actually a town in England 105 to the Northeast of London (and not related to "Harry Potter"), shows the dynamic range of the Trio as the melody moves from one instrument to the next with delightful elasticity. The following song, "Scuttlers", is not a misspelling of the famous Boston, MA, night club but a musical interpretation of the songs of crabs "scuttling" along the beach. Kudos to McPherson who truly captures the sound of crabs on his trap set (pun intended). The fun continues as the Trio revisits "Skipping, a Hersch original they recorded on the first album they did together, 2009's "Whirl." It's a aural treat to hear where the group takes the sweet melody. The album also includes three tribute songs (all composed by Hersch). 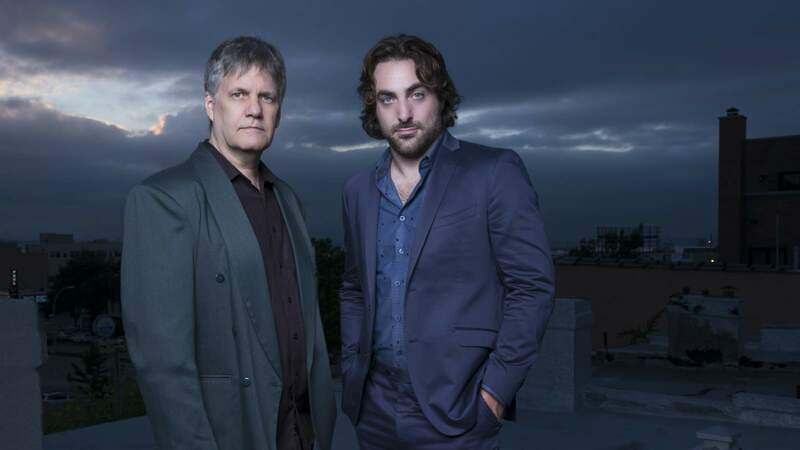 There's the lovely ballad, "Bristol Fog" (for the late pianist John Taylor), and the sweet, sashaying, tune "The Big Easy" (dedicated to New Orleans resident, author Tom Piazza (the novel "City of Refuge", "Understanding Jazz: Ways to Listen", and the major write for the HBO series "Treme"). Sandwiched between those two tracks is the rambunctious "Newklypso", dedicated to Sonny Rollins. It's a treat to hear the pianist dancing atop the delightful rhythm section. The final three tracks include two compositions of Wayne Shorter ("Miyako" from 1969's Blue Note Lp "Schizophrenia" and "Black Nile" from 1964's "Night Dreamer"). The former is a medium-tempo ballad with a splendid piano solo over the fine work of the bass and drums. The latter jumps out of the gate with a strong drum solo before the Trio pushes the piece forward - if you ever had a doubt about Hersch's "bop chops", listen here and listen closely. The "encore" tune is a piano solo stroll through "Blue Monk" - the composer Monk has been a great influence on the musician Hersch as he takes the classic tune through a delightful transformation without losing the heart of the original (dig the stride section which says a lot about Monk's inspirations). "Live In Europe" is an excellent addition to the other recordings by the Fred Hersch Trio - the program rivals 2014's "Floating" as one of this ensemble's best. If you love the music this group makes, you'll buy the album with or without my recommendation. If you have never heard Messrs. Hersch, Hébert, and McPherson live or on CD, wait no longer - this is glorious music and deserves your attention! It's hard to believe that the trio of Larry Goldings (Hammond B-3 organ), Peter Bernstein (guitar), and Bill Stewart (drums) first played together in 1991. 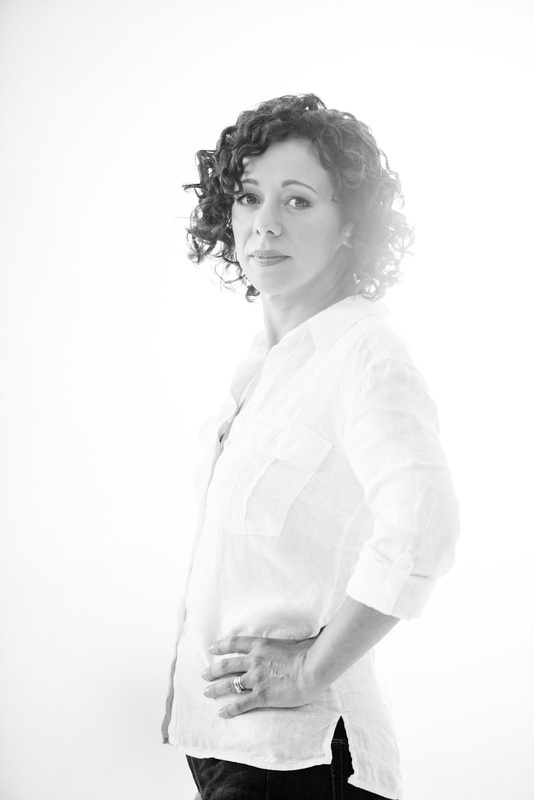 All three musicians have had busy careers: Goldings has appeared on a slew of albums and has toured with the likes of James Taylor, John Mayer, Maceo Parker, and Jim Hall. Bernstein first hit the jazz road with saxophonist Lou Donaldson in 1990 and has toured and recorded with drummer Jimmy Cobb and Joshua Redman. He's released a number of excellent albums for Criss Cross, SMALLS Live, and Smoke Sessions. Stewart has a had a very busy career, also working with Maceo Parker as well as Seamus Blake, Pat Metheny, and John Scofield. 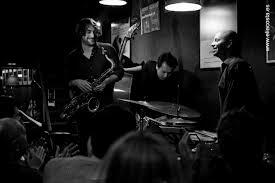 He has led groups that have recorded for Blue Note, ENJA, and Pirouet. 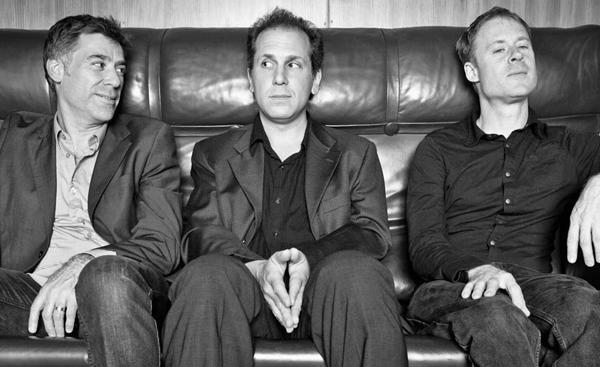 "Toy Tunes" is the trio's 12th album in its career and their second for the German-based Pirouet Records. 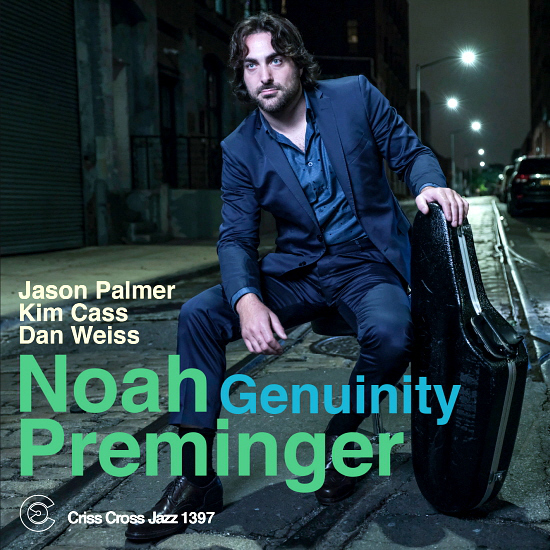 From the opening moments of "Fagen" (Goldings tune for the Steely Dan co-founder) to the gently swinging "Maybe" (from the musical "Annie"), it's clear that these three musicians are on the same wave-length. There's no clutter, you can hear each instrument clearly, and melody is king. Besides the "Annie" tune, the trio also take a delightful ramp through "I'm In The Mood For Love", pushed forward by Stewart's splendid brush work beneath the guitarist and organist sharing the melody before Bernstein takes off on a delightful solo. Goldings has active bass pedal feet and really shows his swinging side on this track. To their credit, this trio is not afraid to take a few chances. Carla Bley's "And Now The Queen" is a challenging piece that heads out but never loses its way (Bernstein's guitar work brings Mary Halvorson to mind). The title track is a Wayne Shorter tune from his Blue Note days that was to released by the label until 1980 and is on the "Et Cetera" album. The tune has a pleasing melody played by the guitarist with his partners creating an easy swing beneath him. 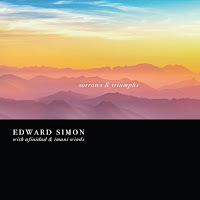 Stewart's "Calm" may remind some of John Abercrombie's "Timeless" - not so much for the melody but for the atmosphere the organ and brushes create for the guitar lead to travel over. On initial listening, "Toy Tunes" sounds a bit tame yet, if you sit and really listen, you will be rewarded. 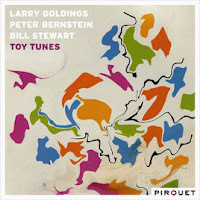 Larry Goldings, Peter Bernstein, and Bill Stewart are masterful artists and the musical portraits they create/play bring to mind Larry Young (in his Blue Note days). This is fun, funky, classy music that has surprising depth and warmth. For more information, go to www.larrygoldings.com. 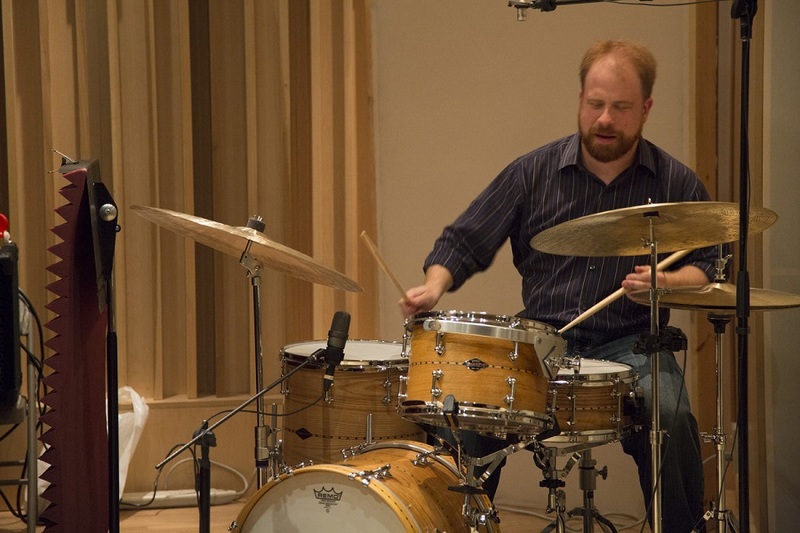 Drummer and composer Jeff Cosgrove is a fearless musician/improviser. He lives in rural Maryland, performs mostly in the Washington D.C. , Virginia, and West Virginia areas. 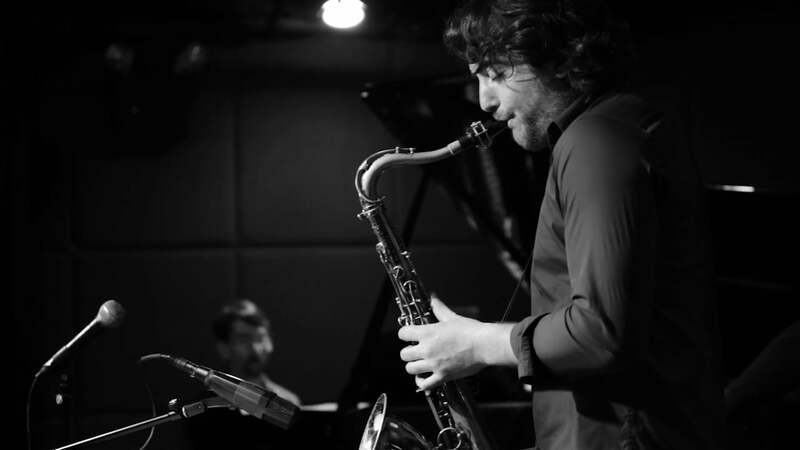 He has played and recorded with musicians such as violist Mat Manieri, saxophonist Noah Preminger, pianists Matt Shipp and Frank Kimbrough, plus saxophonist Jeff Lederer and bassist Martin Wind. Check out his page at Bandcamp for a slew of live recordings. 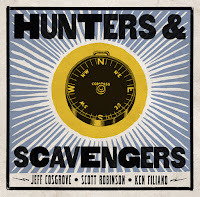 His latest release, "Hunters & Scavengers" (self-released), features the dynamic duo of Scott Robinson (tenor and baritone sax) and Ken Filiano (bass). With Cosgrove's muscular drumming leading the way, this trio powers through 10 pieces, all but one (Ornette Coleman's "Lonely Woman") credited to the three participants. 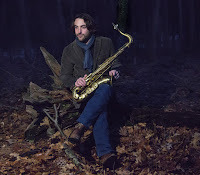 There are moments when the pace is blistering, such as the aptly titled "Don't Look (Just Run)"; its fire is created by the manic bowed bass and strong cymbal work while Robinson's sax plays whirling figures. Cosgrove's roiling drums join in dialogue with Robinson's tenor sax for the first 2/3rds of "Patterned Behavior", reminding this listener of dialogues that John Coltrane created with Rashied Ali on "Interstellar Space." Here, the duo never gets as frenetic as that duo: when Filiano joins in, the music gets a bit more heated yet never loses its forward motion. 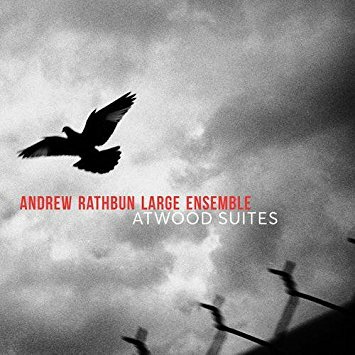 The bassist's arco work is other-wordly on "Simple Justification", moaning and keening while Robinson creates an emotional melody and Cosgrove drives. 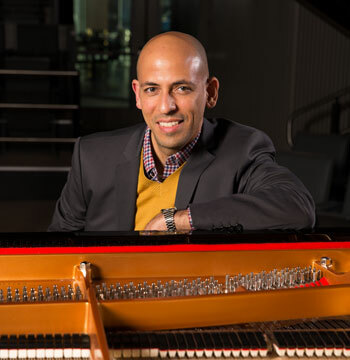 Soon, Filiano steps out for a powerful pizzicato solo, his full tone and melodic sensibility helping to mold the piece, push his companion in a different direction. There's a noisy playfulness (and a bit of electronic manipulation on the bass) to "Song of The Cuddlefish" - it's one of the pieces that you have to listen to several times to hear how the three instruments move in towards each other and then away, responding to each other's power as well as the subtle gestures each musical makes. The trio can be gentle, as they demonstrate on "Rays of Dawn." The piece unfolds slowly, no one rushes, there is intelligent of silence, longer tones from both Robinson and Filiano while the leader slides his brushes over the snare drum and cymbals. 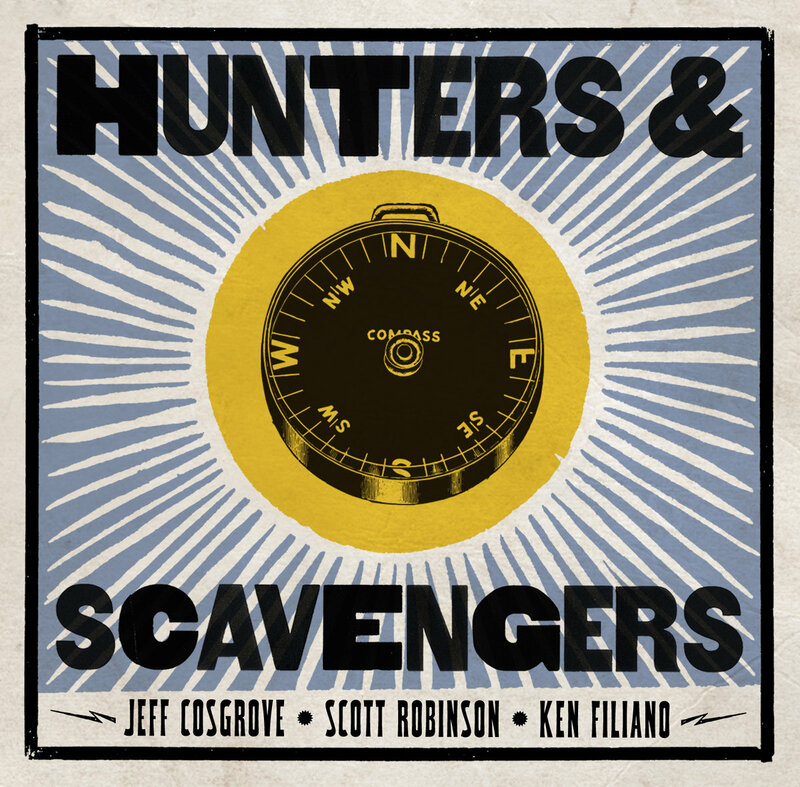 Jeff Cosgrove gathers master musicians, does not impinge on what artists such as Scott Robinson and Ken Filiano do best, and adds his own special spices to create quite the tasty stew. There is power, intelligence, and delight at play in this music. It's challenging music for sure but the challenges reap many rewards. For more information, go to motiansickness.bandcamp.com or jeffcosgrovemusic.com. Saturday evening April 28, CT jazz mavens have a tough decision to make. Do they head to Middletown and Wesleyan University to catch T.S. Monk celebrate the music of his father, Thelonious Monk? Perhaps, there's drummer. composer, and arranger John Hollenbeck who brings his Large Ensemble to Western CT State University for a rare appearance. 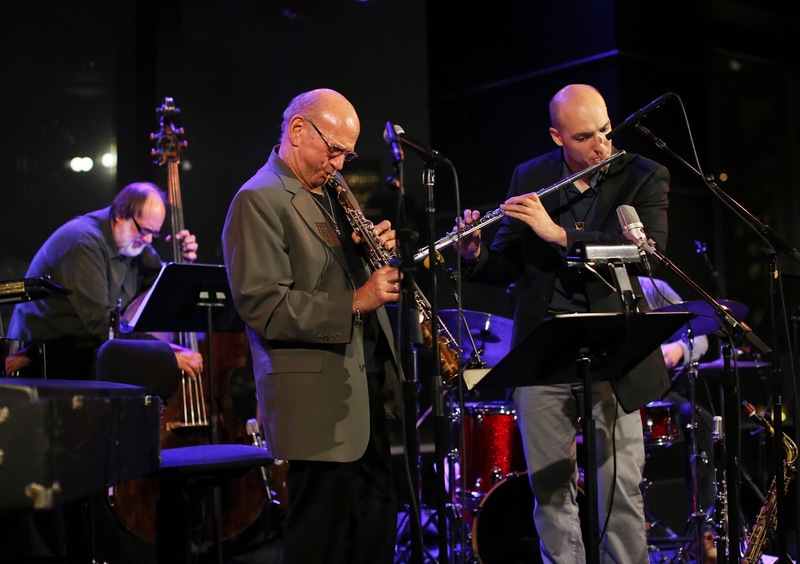 Then again, you may want to take a trip to Old Lyme to see/hear saxophonist and NEA Jazz Master Dave Liebman perform with his Expansions quintet. What's a fan to do? 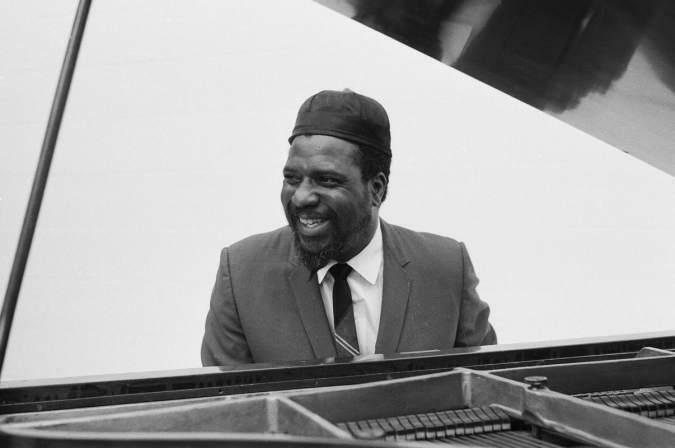 A number of great jazz artists celebrated their 100th birth anniversaries in 2017, none, arguably, more influential than Thelonious Sphere Monk (1917 - 1982). Monk moved out of the post-World War II "be-bop" explosion to create a music that had its roots in blues, in "free" improvisation, in melodic adventure, with an uncanny sense of creating melodies that caught your ear and, often, made the listener want to tap his feet and shake his head. While Monk only published 60+ compositions in his career, many of them have served as guideposts for several generations of creative musicians, from John Coltrane to Jason Moran and beyond. T.S. Monk (born 1949) played in his dad's band later in the elder Monk's career. After his father's passing, the son created the Thelonious Monk Institute, not only to honor his memory but also to help young musicians along their way. 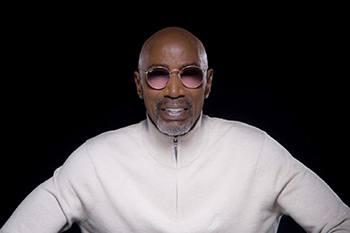 The son had success in the r'n'b field in a group that featured his sister Barbara but turned to jazz in the 1990s, traveling the world and continuing his father's legacy. T.S. 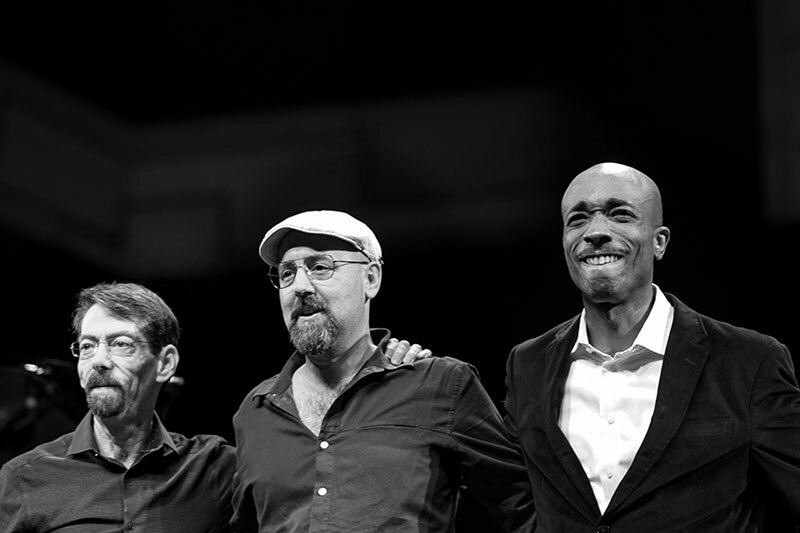 Monk brings his Sextet to Crowell Concert Hall, Wyllys Avenues, in Middletown for an 8 p.m. concert. Titled "Celebrating 100 Years of Thelonious Monk", the drummer/leader heads a fine band that includes the excellent young pianist Theo Hill plus Willie Williams (tenor saxophone), Randall Haywood (trumpet), April May Webb (vocals), Patience Higgins (alto saxophone, flute), and Kenny Davis (bass) - I realize that it's actually a septet but that's jazz for you. For ticket information, go to www.wesleyan.universitytickets.com. 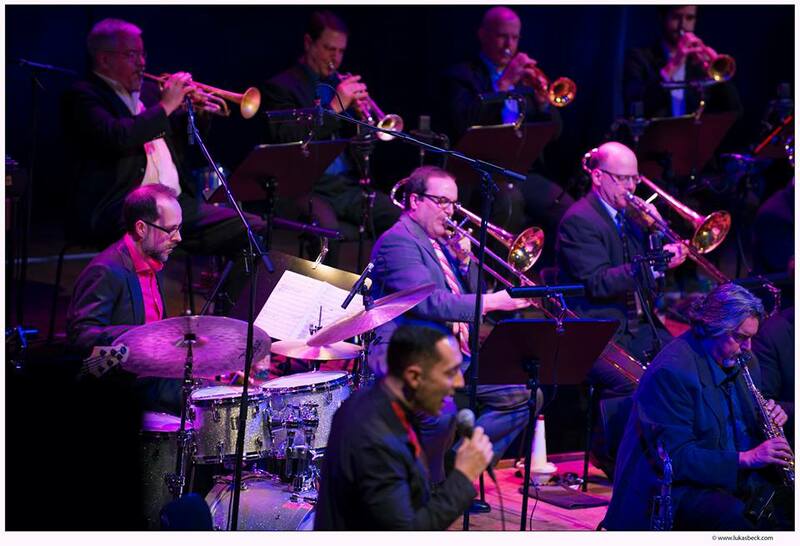 The John Hollenbeck Large Ensemble gathers at 7 p.m. in the Veronica Wegman Concert Hall, 43 Lake Avenue Extension on the campus of Western CT State University in Danbury. The 20-member ensemble is celebrating its 20th anniversary (!) have a new album, "All Can Work", released earlier this year on New Amsterdam Records (my review is here). 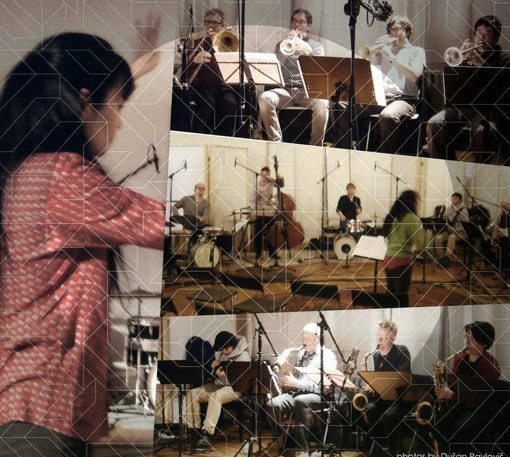 The album illustrates Hiollenbeck's myriad influences, from Kenny Wheeler to William Shakespeare to Billy Strayhorn to Cary Grant's experiments with LSD to the great trumpet teacher and Ensemble member Laurie Frink (who passed in 2013), and more. The biggest influences on the composer and arranger Hollenbeck have been his long associations with Meredith Monk and Bob Brookmeyer (1929-2011). 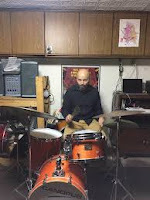 One can hear the influences in the melodies the drummer creates, how he uses voice, and his fascinating arrangements. 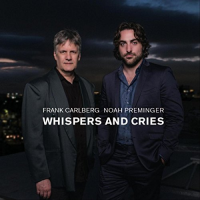 I love how this group can go from "a whisper to a scream" in a heartbeat, how the solos grow organically out of the ensemble work, and how vocalist Theo Bleckmann is part of the ensemble sound as well as lead vocalist. The band is stocked with many of the best musicians working in creative music, many of whom have been members since the group's inception. For more information and a listing of the personnel, go to www.eventbrite.com/e/23rd-annual-jazz-fest-featuring-the-john-hollenbeck-tickets-44268366877. 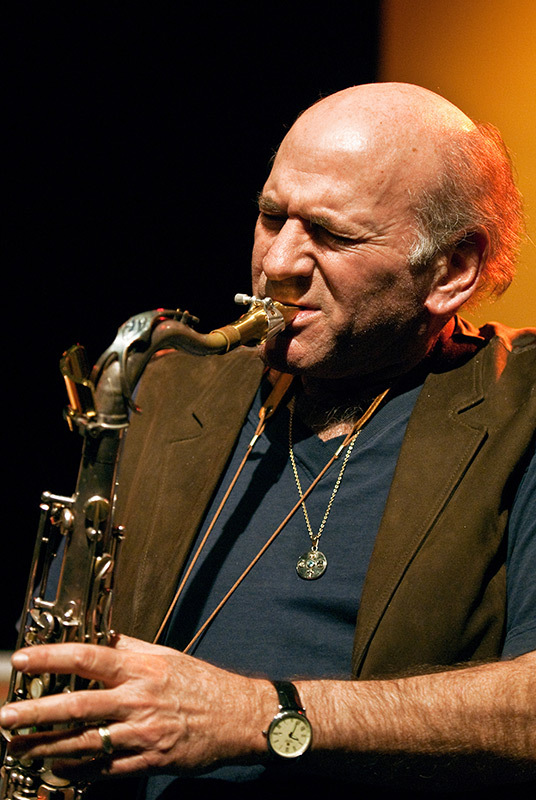 Saxophonist, flute player, and composer Dave Liebman is in the midst of a long and successful career. Born in Brooklyn, NY in 1946, the NEA Jazz Master (2011) first came to critical notice in the 1970s playing join the bands of Miles Davis and Elvin Jones. 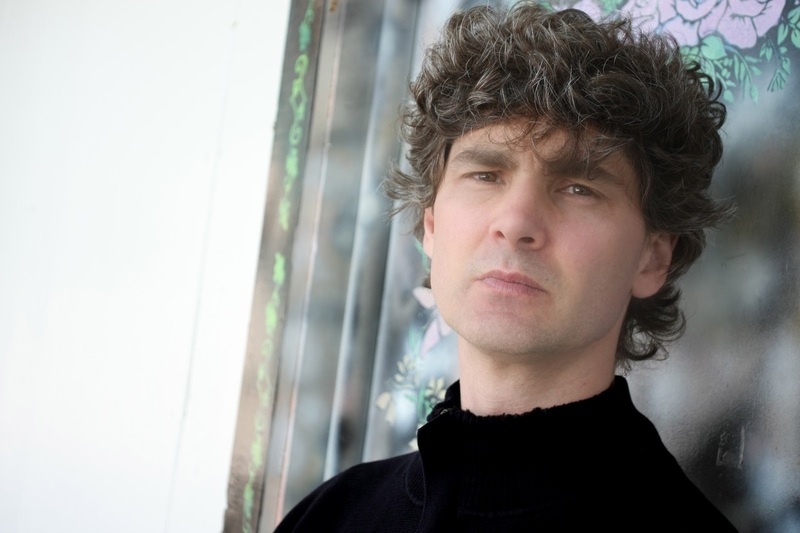 His association with pianist Richie Bierach began during that time period, culminating with the fusion-jazz group Lookout Farm whose early albums on ECM are quite impressive. He's recorded with so many people, teaches now at the Manhattan School of Music even as he conducts workshops all around there world. 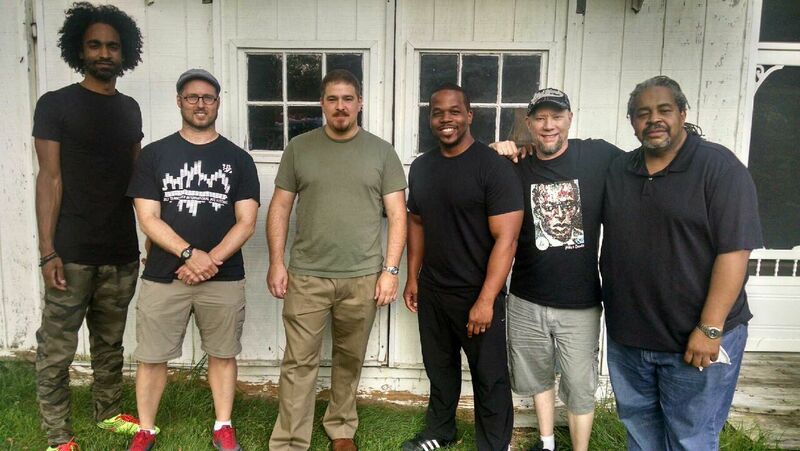 Liberian continues to work with Bierach in various settings including the powerful Quest group (with drummer Billy Hart and bassist Ron McClure). 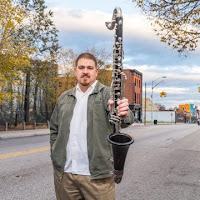 In recent years, he's recorded with Saxophone Summit, with the University of Toronto (CA) Jazz Orchestra, with percussionist Adam Rudolph, with the PRISM Saxophone Quartet, and his own Big Band. 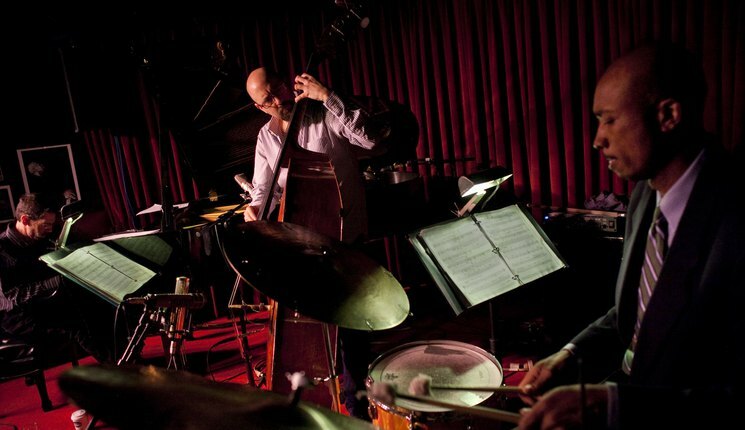 Dave Liebman returns to The Side Door Jazz Club in Old Lyme with his impressive Expansions quintet. This band - Matt Vashlishan (alto sax, flute, clarinet), Bobby Avey (piano, keyboards), Alex Ritz (drums, percussion), and Tony Marino (bass, electric bass) - has been in existence for eight years, has released three albums on Whaling City Sounds, and stays busy with tours and residencies. The music covers a large swath of musical territory with all members contributing original material and arrangements. 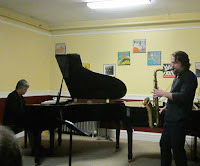 The first set commences at 8:30 p.m. For more information and reservations, go to thesidedoorjazz.com or call 860-434-2600. Todd Marcus, a native of Northern New Jersey, is both a musician (clarinet, bass clarinet) and community activist. He has lived in Baltimore, MD, in 1997, settling in or near the Sandtown-Winchester/Upton sections, learning about Black music and begin to serve the community through the Intersection of Change non-profit organization that, over the years, has created progress that serve battered women, offers arts and business classes plus created a farm that not only grows food for the community but offers employment to people returning from incarceration. 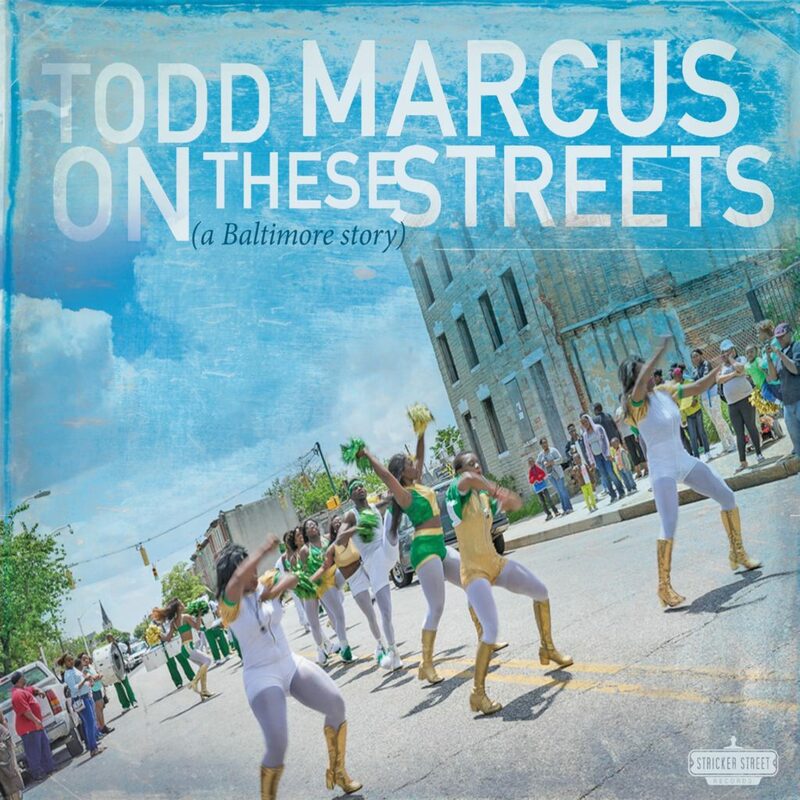 As a musician, Marcus has worked with Baltimore native Gary Bartz, pianist Orrin Evans, Bennie Maupin, and many others. As a leader, he has issued three albums, one with a nonet, another with two quartets, and the very impressive 2015's "Blues for Tahrir" with his Jazz Orchestra. 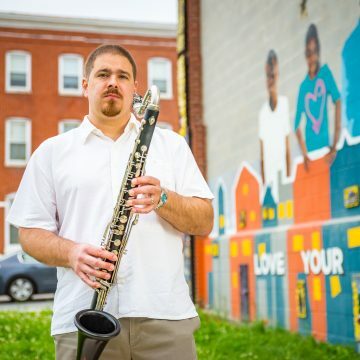 His latest disk, "On These Streets" (Stricker Street Records), is an expansive program (inspired by the progress that's been made in the communities after the shooting of Freddie Gray) that features interviews and commentary from the neighborhood where he works plus music played by a core group of George Colligan (piano), Kris Funn (bass), and Eric Kennedy (drums, vocal) plus guests Warren Wolf (vibraphone on 5 tracks, drums on one) and Paul Bollenbeck (electric guitar on four tracks). The program is composed of all Marcus originals save for the gospel song "I Surrender All" (a late 19th Century hymn composed by Judson W. Van DeVenter with music by Winfield S. Weeden). That last track spotlights the soulful vocal of drummer Kennedy while Wolf moves to drums. 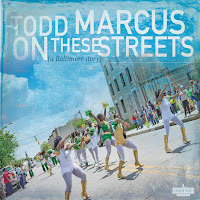 The majority of the music is up-tempo, celebrating the energy, the creativity, and the tension that infuses the streets where Marcus and his rhythm section live (Colligan was born in New Jersey but raised in Columbia, MD, while Bollenbeck's professional career received as boost when he moved to Washington, D.C.) The title track opens the album in a funky, mid-60s Herbie Hancock style - the leader, who plays bass clarinet throughout the album, takes the first solo ad the rhythm section takes its cue from him, pushing forward intently. Collegian is the perfect partner on this project as he can add such powerful chords as well as create hard-edged solos. Wolf joins on "An Intersection of Change" and his voice blends nicely with the clarinet and piano. He's also can be heard on the lovely ballad "It Still Gets Still" where he supports the piano and adds meditative colors to the background plus takes a very melodic solo. Bollenbeck shines on "PTSD In The Hood", his soaring solo rising over the power supplied by the rhythm section (Kennedy's drums really spur the guitarist dig in). Marcus's fiery solo over the rollicking drums and chords from the vibes, piano, and "wah-wah" guitar. The last two tracks on the disk truly shine. "Covered In Snow" comes late in the program yet the attractive ballad has a fine melody plus excellent solos from Colligan and Marcus, - make sure to check the interactions between the leader and Wolf's vibes. The funky "NJ' 88", a tribute to Marcus's birth state, is a treat from start to finish. Fun, Marcus, Wolf, and Colligan solo with abandon while Kennedy keeps the groove going. Perhaps the joy one hears throughout this album tells the listener that there is progress "On These Streets" of Baltimore. 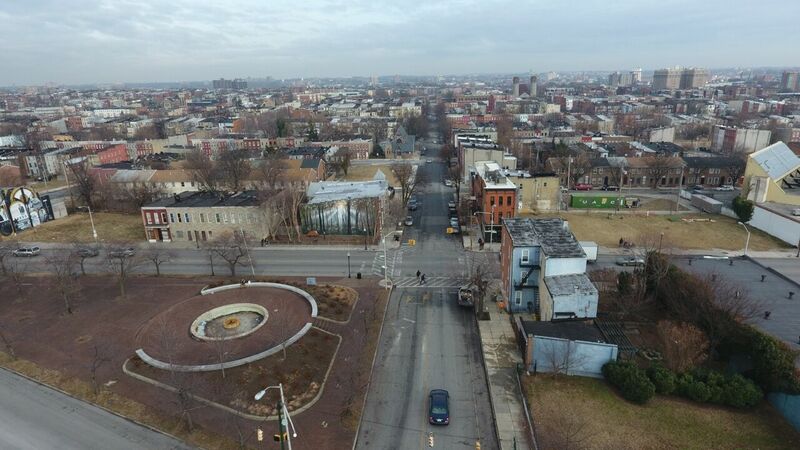 Though there is much work to do, Todd Marcus must have faith that what he and many other dedicated residents have contributed to bring a sense of security and renewed possibility to the hard-hit neighborhoods. 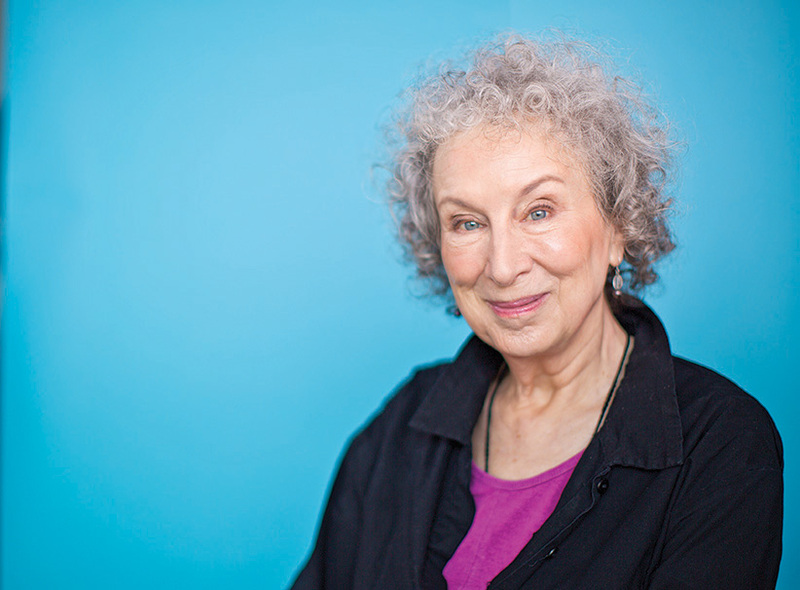 Listen to the voices, listen to the music, and look for hope and possibility. For more information, go to toddmarcusjazz.com. 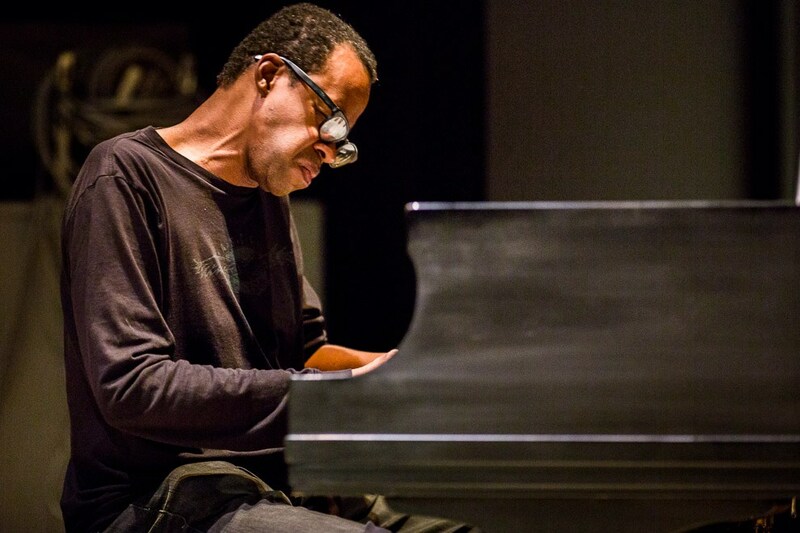 Pianist and composer Matthew Shipp is a fascinating conceptualist, creating music that touches on so much of the history of Twentieth and Twenty-First Century creative music. On his new double-CD, "zerO" (ESP Disk), you can hear talk about his concepts, the weight that he gives as both a composer and musician to the concept of "zero", and much more. 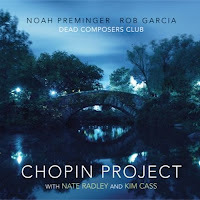 As you sit listening to the 11 piano solos that make up "zer0", the music transports the listener beyond the "everyday" to a sound universe that combines thick rhythm lies with dancing solos, robust chords, and melodies that often have a circular feel. 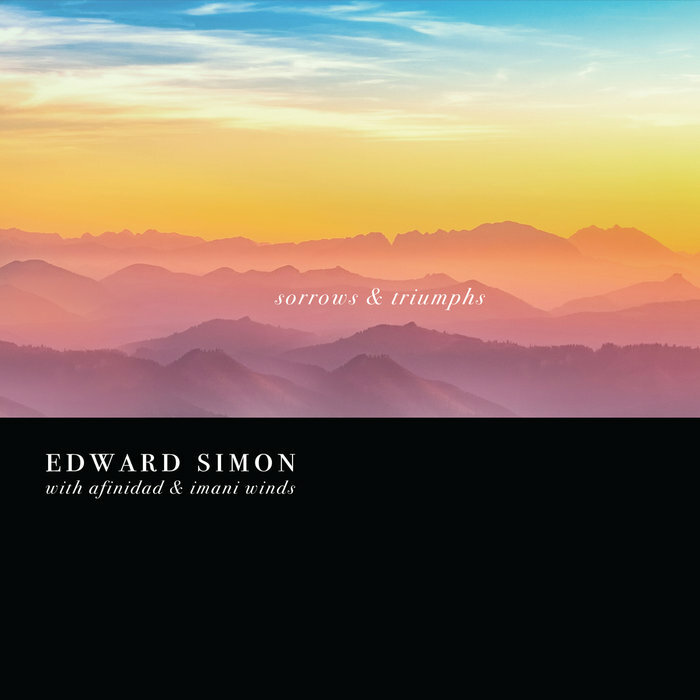 Of the eight (approximately) solo piano recordings Shipp has produced over the past 20+ years, this is definitely one of the best-sounding productions. I do not plan to discuss specific tracks on this album. Start at the first note and stay still after the final notes fall silent. Shipp's rumination takes in the sound of the blues in is many-faceted state of grace yet does not seem rooted to an specific style or sound. His sense of dynamic variation and melodic phrases, his forward motion, the mix of chords and single-note lines pique the listeners interest so it would make sense to go back and listen again. 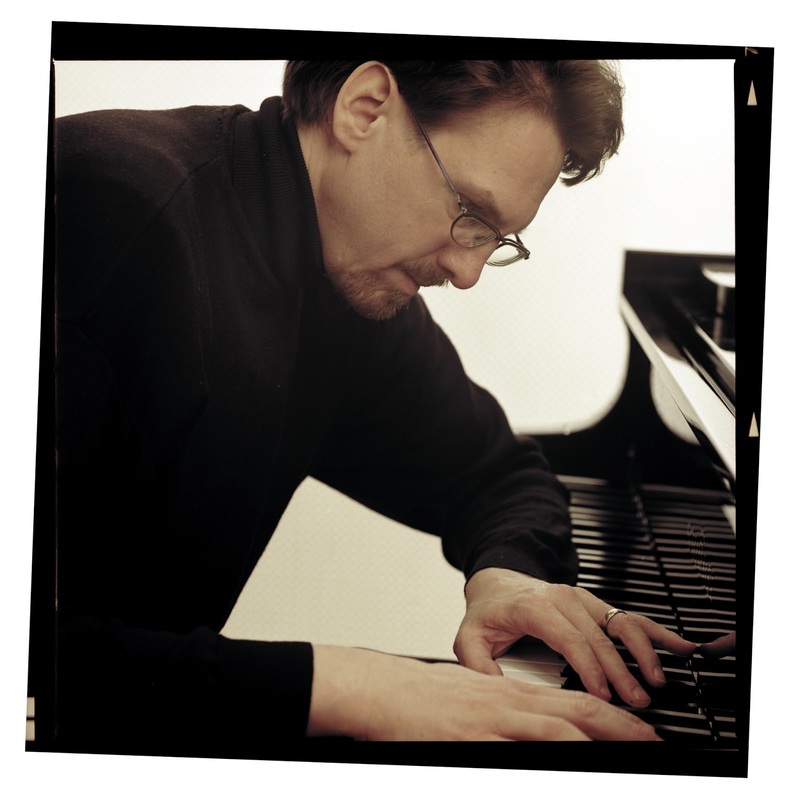 You'll pick out how the pianist shifts rhythms and makes complete statements out of fragmented phrases. 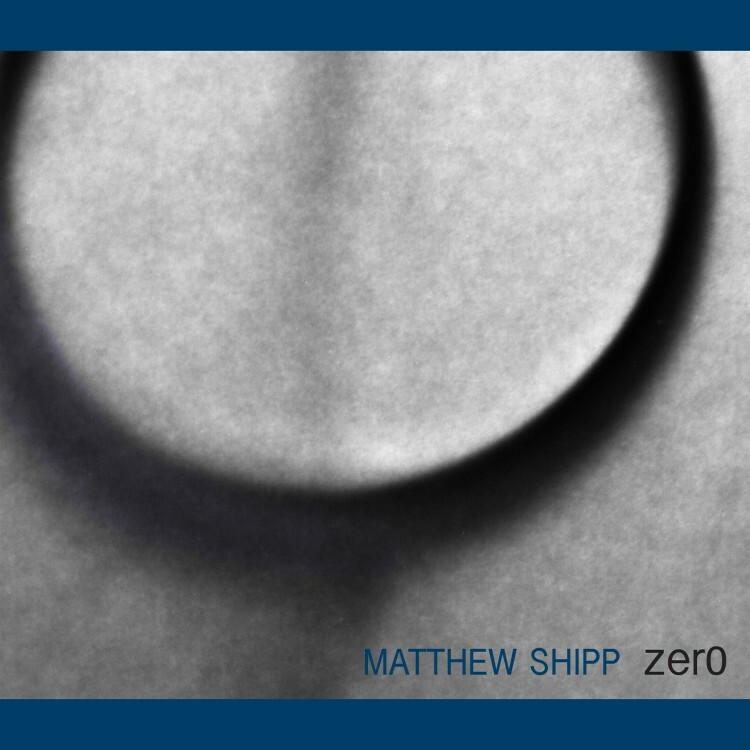 "zer0" is one more step forward for pianist Matthew Shipp. Yes, you can hear concepts that he has used throughout his career. 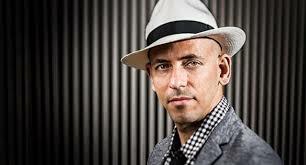 His music does "speak truth to power" with the same urgency of fellow pianists Jason Moran and Vijay Iyer, not to afraid to "look back" constantly and infuse his music with the abundance of "voices" that preceded him: it's how he created his own "voice' and how he continues to grow as an artist and person. For more inferno, go to www.matthewshipp.com. In her year of celebrating her 60th Birthday, Satoko Fujii is planning to release an album per month, with each disk featuring a different ensemble or a solo effort for the pianist-composer. "Ninety-Nine Years" (Libra Records) is the second album from her "Orchestra Berlin", a dectet (their debut featured 12 musicians) that blends three reeds (ten saxophonists Matthias Schubert and Gebhard Ullmann plus baritone saxophonist Paulina Owczarek), three trumpets (Richard Koch, Lina Allemano, and Natsuki Tamura), trombonist Matthias Muller, bassist Jan Roder, and two drummers (Michael Grenier and Peter Orins). 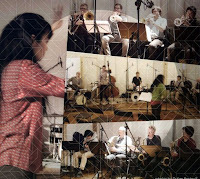 If you're a fan of Ms. Fujii's large ensemble music, you already know she likes to create different groupings within each song and that sounds and textures rule the music. After a rousing opening song, "Unexpected Incidents" (which, after a long percussion intro, breaks into a rollicking, raucous, tune), the title track goes in several directions in its 13-minutes. Opening with a slow yet powerful bass solo, the piece seems to open up and slow down at will with the baritone sax, basses, and percussion in the center of the music. There is a long saxophone solo (with only light percussion and high-pitched bowed bass underneath) that finally erupts into a powerful closing section, mournful but with a wailing tenor saxophone over the ensemble. Dedicated to Ms. Fujii's mother-in-law (who passed just months before her 100th birthday), the piece is a combination of mourning and celebration. Highlights abound. "On the Way" combines various drums interludes with a funky brass dominated melody before a hilarious trumpet solo (chattering, squalling). The band returns, seemingly one-by-one, to a delirious, percussion-fueled (sounds very "second-line New Orleans) finish. "Oops"also has a bit of the "kitchen sink" approach, with ensemble melodies, a powerful sax solo that starts out unaccompanied and continues over a "slow drag" section, and hardy trumpet solo over just the bass and drums. That solo veers off into "free" territory before the dark ensemble melody returns. The album closes with "Follow The Idea", yet another piece that goes in numerous directions: the proceedings sound improvised with all sorts of "strutting" from the reeds and brass amid the various "conversations." 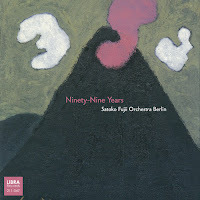 "Ninety-Nine Years" is striking (no pun intended) music, surprising at times but never dull or filled with cliches. 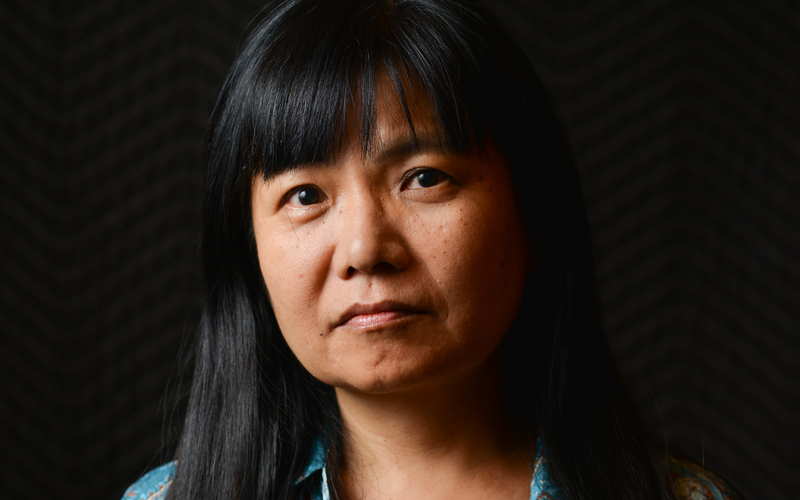 Satoko Fujii continues to create fascinating music, music that asks much of the musicians, challenges audiences, and is highly rewarding. This coming Saturday and Sunday evenings (4/07 & 08/2018, Wadada Leo Smith presents the second annual CREATE Festival at Firehouse 12, 45 Crown Street in New Haven. If you went to the 2017 event (there were weekends in New Haven and San Francisco), you remember the range of music the 76-year old trumpeter, composer, conceptualist, and arranger can create. The line-up and programs (listed below) for the 2018 Fest are just as impressive and wide-ranging with several debuts overt the course of two nights as well as an exhibit of Smith's unique scores. 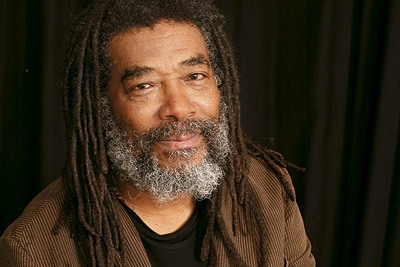 Legendary composer and trumpeter Wadada Leo Smith presents the Second Annual CREATE Festival in New Haven, CT, a two-day celebration and exploration of his inventive and unclassifiable music that will feature world or US premiere performances of four new suites. Taking place Saturday, April 7 and Sunday, April 8, 2018 at Firehouse 12, 45 Crown Street, New Haven, CT, the festival will include performances by five separate ensembles over two evenings and include an exhibit of Smith’s Ankhrasmation Symbolic Language Scores. Performances take place at 7 p.m. each evening; exhibition walk-through on Sunday at 3 p.m. A full schedule of events is below. Tickets are $30 for each of the concerts; $55 for both. There is no charge for the exhibit. For information, please call 203-785-0468 or go to http://firehouse12.com/. The weekend opens with an ensemble led by guitarist Lamar Smith (Wadada’s grandson), featuring electronic artist Hardedge and drummer Thurman Barker. Saturday’s program continues with the world premiere of Dark Matter, Dark Energy: The Unseen Suite, a piece inspired by the great mysteries of the universe. 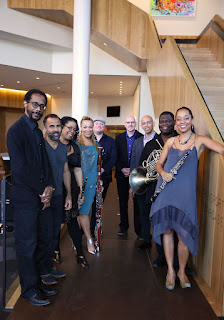 The suite features Smith’s Kosmic Music Ensemble, in which Wadada’s trumpet is joined by vibraphonist Bobby Naughton, pianist Sylvie Courvoisier, guitarist Lamar Smith, drummer Thurman Barker, and Jawara on jimbe and percussion. The opening evening will conclude with Smith’s latest composition drawing on his love for America’s natural splendor, The Great Lakes. 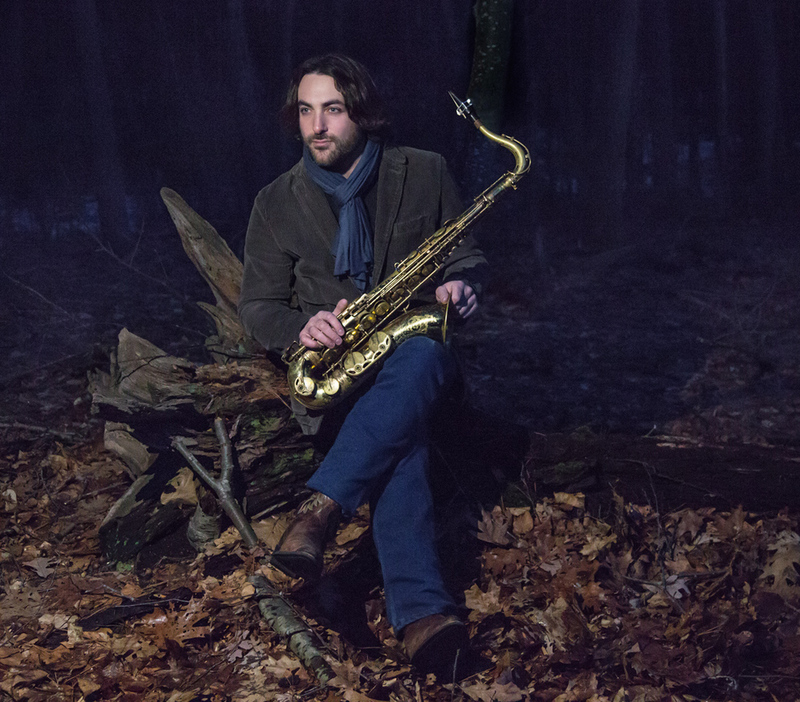 Following in the spirit of his widely-acclaimed America’s National Parks, Smith wrote the piece for his newly-assembled Great Lakes Quartet: himself, saxophonist Jonathan Haffner, bassist John Lindberg, and drummer Thurman Barker. Sunday’s line-up begins with the U.S. premiere of President Obama's Speech At The Selma Bridge, a suite written for the renowned power-jazz trio Harriet Tubman. Wadada will join the band, which includes bassist Melvin Gibbs (Rollins Band, Sonny Sharrock), guitarist Brandon Ross (Henry Threadgill, Cassandra Wilson), and drummer J.T. 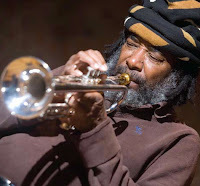 Lewis (Whitney Houston, Bill Laswell). The piece recalls Barack Obama’s historic speech commemorating the 50thanniversary of “Bloody Sunday” on the historic Edmund Pettus Bridge in Selma, Alabama in front of a crowd of 40,000. The ideals represented by that speech are also beautifully represented in the festival’s final piece, the world premiere of Peace, Love and Liberty: Compassion and Respect For a Tolerant World: A Suite. Performed by Smith’s longstanding Golden Quintet – Wadada, pianist Anthony Davis, cellist Ashley Walters, drummer Pheeroan akLaff, and video artist Jesse Gilbert – the new suite is the composer’s plea for understanding, compassion and tolerance at an incredibly divisive time. As President Obama’s Speech provides a poignant look back at another fraught chapter in our history, Peace, Love and Liberty offers an optimistic and embracing look forward. In order to further that comprehension, the Festival will include an exhibition of 20 of Smith’s Ankhrasmation Symbolic Language Scores in a special gallery at Firehouse 12. On Sunday, April 8, Smith will lead a walk-through of the exhibition along with curator Lyn Horton. He will also lead a discussion of his unique compositional approach. Curators and the general public are invited to join. 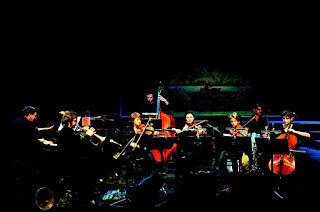 “For all the minimalism of his sound,” writes Adam Shatz, “Smith has turned out to be a maximalist in his ambitions, evolving into one of our most powerful storytellers, an heir to American chroniclers like Charles Ives and Ornette Coleman.” That ambition will be on prismatic display throughout the CREATE Festival, allowing Smith to weave multiple tales across the sweeping breadth of his formidable imagination. There was a time in the 1980s and 90s when I would come across pianist Peter Madsen performing with his good friend Michael Musillami (guitar) and bassist Mario Pavone (when he wasn't touring with Dave Leibman, Kenny Garrett, Fred Wesley, or Maceo Parker). One of the most dynamic and creative pianists around, Madsen moved to Austria around the turn of the 21st Century and, while he retains a residence in New York City, his most recent recordings feature his Collective of Improvising Artists (CIA) Seven Sins Ensemble, an octet that blends a string quartet, trumpet, piano, bass, and drums. 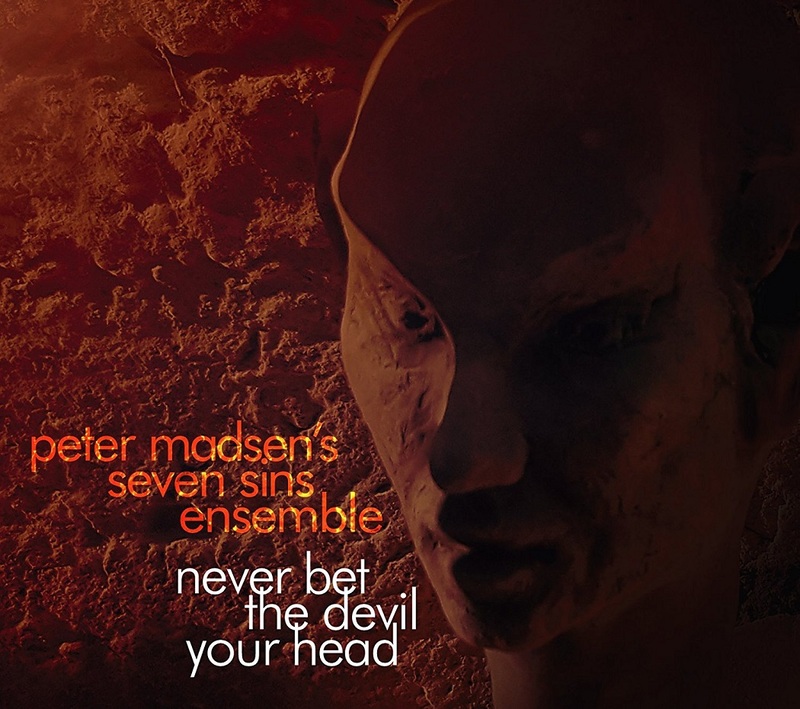 The ensemble has just issued "Never Bet The Devil Your Head" (Playscape Recordings), 10 new pieces composed and arranged by Madsen inspired by the writings of Edgar Allan Poe. One might expect that music inspired by Poe might dark and foreboding but actually this music is often exciting, quite rhythmic, and filled with delightful twists-and-turns. The program opens with "The Raven"; the first several minutes belong to the string quartet - violinists Aleksandra Lartseva and Monica Tarcsay, violist Simon Frick, and cellist Bianca Reisner - playing a handsome melody. Bassist Herwig Hammerl joins them on pizzicato then arco before drummer Martin Grabher kicks in a very rock-ish, raucous, beat. Trumpeter Herbert Walser joins the string to state the melody. The piece moves forward on the power of the melody and the rhythm section with Madsen adding colorful piano. "The Tell-Tale Heart" opens with drummer Grabher playing a "heart" beat before the cellist, bass, and pianist break into what one think is a Black Sabbath rhythm. But the playful ensemble often sis into short reggae rhythms before returning to the original "thumping" chords. In the middle of the song, everyone drops out and the string players do an odd dance, plucking and hitting their instrument with their bows while the drummer moves around his cymbals. It's quite an atmospheric piece culminating in a Han Bennink-liek drum solo (meaning all over the kit, all at once) before coming to its close. Other highlights include the Bertolt Brecht-style melody on "The Cask of Amontillado." Walter's muted trumpet solo blends Louis Armstrong with Lester Bowie, setting the inspiration for Madsen's powerful, swinging, and frenetic solo. The title track opens on a serious bowed bass solo - Hammerl is soon joined by the string quartet and they play a serious melody, dropping back as the trumpet enters. The rhythm section joins, speeding up the piece for the trumpet melody and string counterpoint. Madsen's solo builds on the tension that preceded his entrance and he kicks it u several notches yet it is easy ti hear how the solo is based in the original melody. The closing two tracks, "The Masque of the Red Death" and "A Descent Into the Maelstrom", are both quite powerful. The former enters on strident strings over a funky drum beat. When the rest of the group enters, the song turns into a macabre dance. The interplay of the piano with the strings and trumpet is infectious and their "dance" continues under the powerful cello solo. The latter piece roars its way in, the rapid-paced bowing of strings, the mighty piano chords, the "heavy" beat, all creating a sonic congestion. The trumpet states the handsome melody before the piece falls apart and into silence. Madsen leads the group back with chords that may remind some of vintage 1970 McCoy Tyner. The leader then break into a unaccompanied shower of notes and, once again, the "heavy" beat returns, the swirling strings, the trumpet and piano stating the melody before the falls apart into silence. 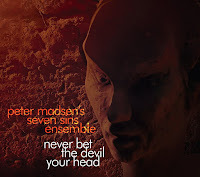 For this listener, "Never Bet The Devil Your Head" is great fun and powerful music at the same time. 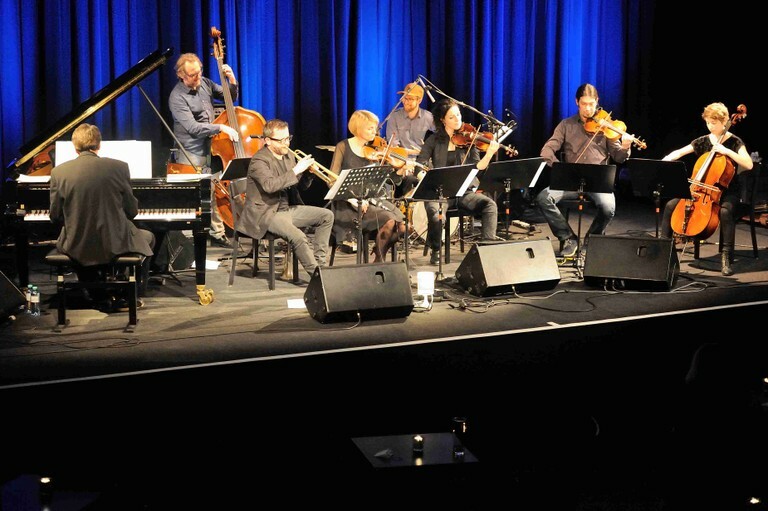 Peter Madsen's Seven Sins Ensemble really dig into the pianist's music and his arrangements bring out the best (and, sometimes, strangest) in their sounds. Delightfully melodic, quite rhythmic, and fairly adventurous, dive in and enjoy! For more information, go to www.petermadsen.us.